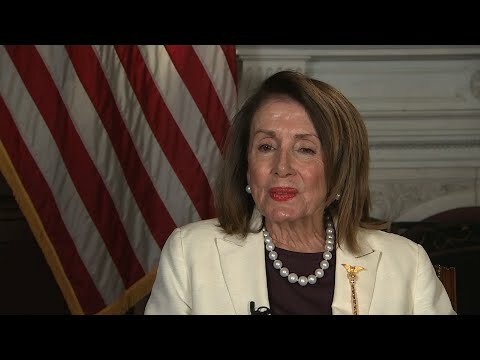 WASHINGTON (AP) — House Speaker Nancy Pelosi on Wednesday questioned Attorney General William Barr’s independence from President Donald Trump, arguing Barr’s pursuit of Trump’s claims about “spying” during the 2016 campaign undermines his position as the nation’s top law enforcement officer. Much will hinge on Mueller’s findings, putting the attorney general’s credibility increasingly on the line. Barr didn’t present evidence to support the assertion and later in his testimony appeared to backtrack, saying he wasn’t certain that any wrongdoing occurred and was only interested in ensuring proper procedures were followed. “The fact is the president has engaged in activities that are unethical, un-American. ... In every way he is unfit to be the president of the United States,” she said. As the new Congress rounds out its 100-days milestone, the speaker said Democrats are doing far more than conducting oversight of the White House, even though she said that’s their constitutional responsibility as an equal branch of government. Though female candidates and voters helped usher Democrats to the majority, Pelosi said she’s not insisting on having a woman -- or two women -- on the party’s 2020 presidential ticket. She said she prefers to keep the House focused on pocketbook issues for everyday Americans -- lowering health care costs and investing in infrastructure — and new ethics rules, not on Trump.